The purpose of our Church is to celebrate God's presence as a foundation enabling our spiritual growth by service to God through worship; each other through fellowship and education, and others through outreach; in a supportive, welcoming Christian community that seeks to follow God's call as revealed in the life and teachings of Jesus. The job of 'Being the Church' could never be a one-person job. It is a ministry of the whole people of God that, at its best, allows God's presence to be embraced and celebrated and, at its worst, threatens our ability to claim that we are even a church. Being the Church doesn't just occur on a Sunday morning, that is just the start. 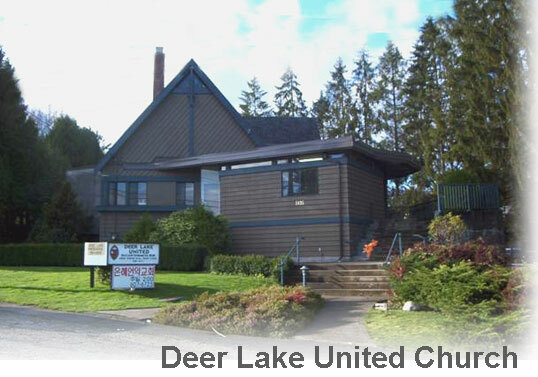 it is hoped that this website might take some of the confusion out of our job in being the Church on a Sunday morning and welcome more people to participate in new aspects of the exciting life of the worshipping and growing church that we call Deer lake. In the words of the great hymn, "I am the church, you are the church, YES we're the church together!"